For 15 years, Kimmy Schmidt remained hidden in an underground bunker with three other women and the leader of a doomsday cult, Reverend Richard Wayne Gary Wayne. They believed the Reverend's claim that the world had been destroyed, and they were the sole survivors. Rescued one day by law enforcement, Kimmy discovers she was lied to and now finds herself the object of curiosity and sympathy. Refusing to be seen as a victim, Kimmy decides to rediscover the world that had been denied to her and attempts to make a life for herself in New York City. 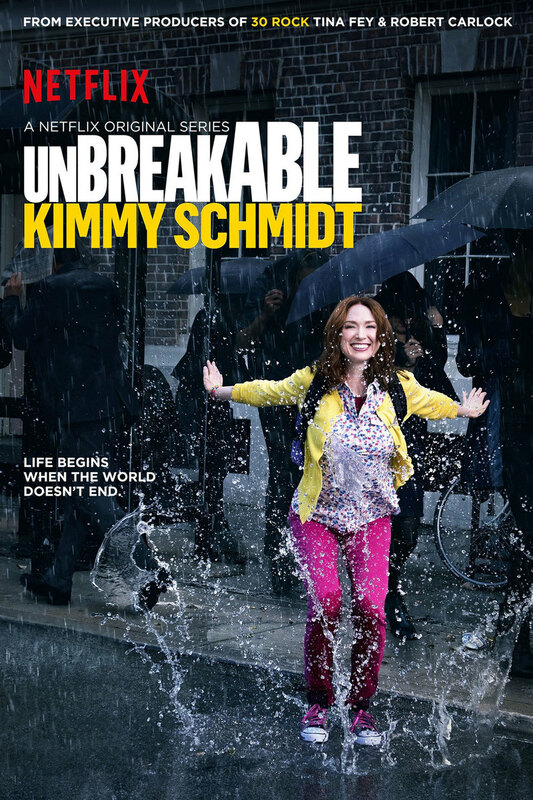 DVDs Release Dates is the best source to find out when does Unbreakable Kimmy Schmidt come out on DVD and Blu-ray. Dates do change so check back often as the release approaches.